Chronic obstructive pulmonary disease (COPD) is the name for a group of lung conditions that cause breathing difficulties. The British Lung Foundation said millions of people in the UK have COPD and they don’t even know it. November 15th marks awareness for this common health condition and you might be thinking, what’s the relevance to physical activity? Feelings of breathlessness can be scary and therefore the thought of starting to become active, can seem rather daunting. 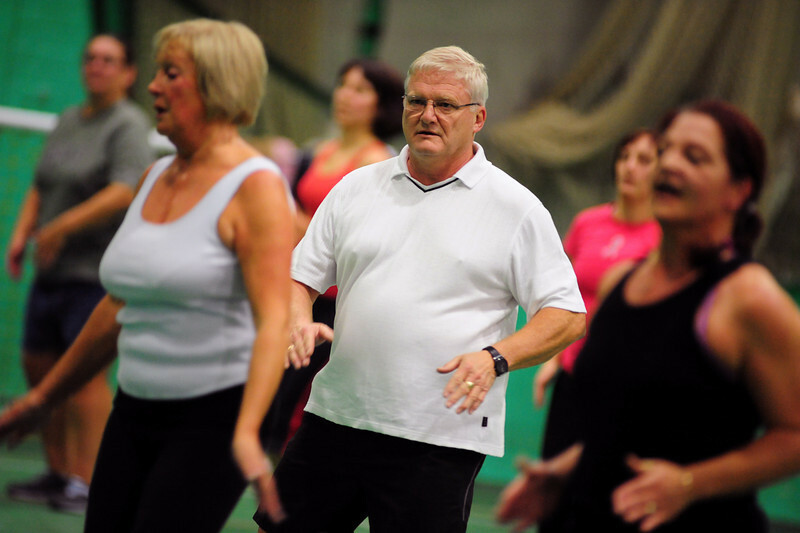 However, exercise can improve the symptoms of COPD by making you feel less breathless, improving your overall stamina and even more importantly, give you the confidence to carry on doing day to day tasks. Muscles that are poorly conditioned, require more oxygen to move so when we increase the strength of our muscles, it makes daily activities easier and by strengthening our cardiovascular system, this improve the efficiency of our lungs and hearts and thus, improves stamina. A question often asked is “what exercise can I do with COPD?” and here at Life Leisure, our GP referral programme PARiS has a variety of specialist instructors who are qualified to work with you to ensure you receive the most effective programme. In addition, we provide specific classes with trained COPD exercise rehabilitation instructors who deliver a series of different exercises to support you to better manage your COPD symptoms. Participant’s say that one of the best things about the rehab classes are not only how they improve their personal health, but also how it enables them to be around other people in a similar situation, benefiting from the support from other participants. Start slowly and gradually build up. This can be by trying to take the stairs more or going for very short walks, even if it’s just for 30 seconds to a minute in the early stages. Think about trying to strengthen your muscles even if this means using a can of beans to doing arm curls or gently going on your tip toes to improve your strength in your lower legs. You might start with 8 -10 repetitions per day and just see how you feel as to whether you can increase it. If you want to, why not start with chair based exercise such as our SMILE classes? 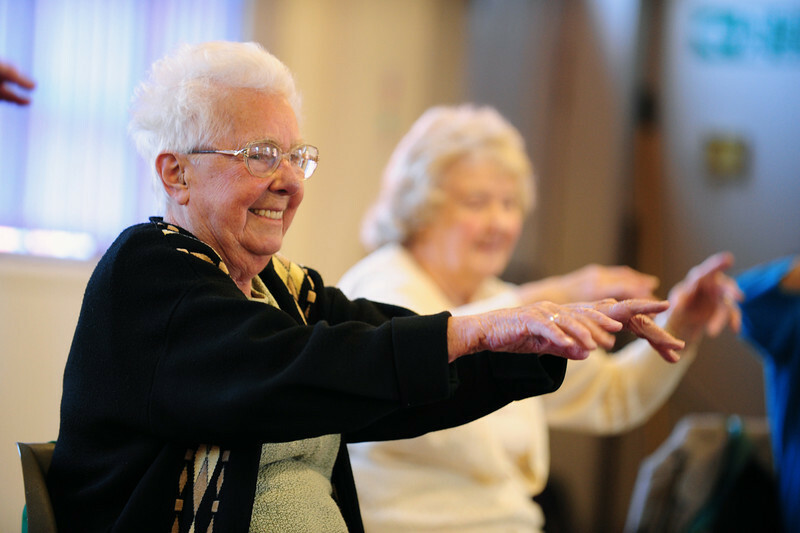 These classes provide a mixture of standing and seated exercises all to music to make it even more enjoyable! Don’t forget to stretch – being sat down for long parts of the day can tighten up many muscles. Gentle stretching can help to keep us more flexible, making movements easier. Always listen to your body. On days where you are coughing or wheezing more than normal, then it might be worth to reduce or have a give exercise a miss and if your symptoms persist then it’s always worth having a chat with your GP. So take part in or maintain your physical activity levels and let’s help raise the awareness of how it can help reduce COPD symptoms.